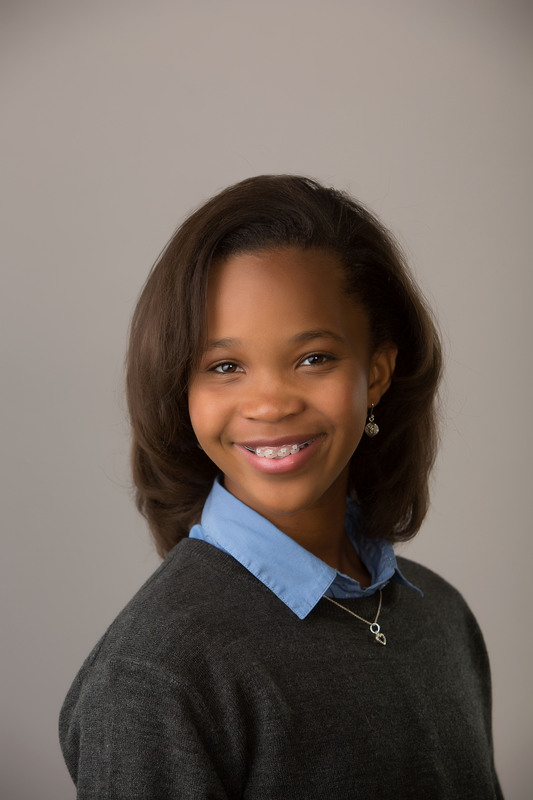 From Academy Award–nominated actress Quvenzhané Wallis comes the second story in a brand-new series about best friends Shai and Emmie, two third-graders destined for superstardom. “You are hurricanes!” Ms. Englert called out to the class. Shai Williams pretended to be a hurricane. She spun around and around and waved her arms in a swirly pattern. She made whooshing wind noises through her lips. Nearby, her best friend, Emmie, did some tiptoe-y ballet steps. “Are you raindrops?” Shai asked Emmie. Shai swooped in wide circles around Emmie, spinning and arm waving and whooshing. Emmie quickened her raindrop steps until they were a frenzied staccato: plinkplinkplinkplinkplink. The two girls were a hurricane together! “Now the storm is starting to wind down . . . down . . . down,” said Ms. Englert in a hushed voice. All the students began winding down, down, down. Shai stopped spinning and arm waving and whooshing. Emmie’s raindrops slowed to a trickle. “Oh, look! The sun is coming out!” Ms. Englert exclaimed. Shai tipped her face to the sky—or rather, the ceiling of the dance studio—and made flappy jazz hands. Emmie did the same. They smiled sunny smiles at each other. Ms. Englert was the dance teacher at the Sweet Auburn School for the Performing Arts. She was full of zany ideas. Today she was having each student improvise, or make up, dances to go with different themes. Shai loved Ms. Englert. She also loved the dance studio, which was on the second floor of the school. It had mirrored walls and ballet barres. It had framed photographs of famous dancers like Alvin Ailey, Savion Glover, and Misty Copeland. It had a poster of three dancing honeybees that said: BEE AMAZING! It was time for a break. The students got their water bottles. Ms. Englert played some relaxing chirping-birds music on her phone. She sat down on her big blue yoga ball. Shai made a scrunchy thinking face. D and W and K.
“Yes, Rio. Exactly! It’s held in a different city each year. This year it will be right here in Atlanta, at the Robinson Arena,” said Ms. Englert. Oh yeah. Shai had seen the competition on TV once, and the dancers had been really amazetastic! “Are we going to DWK for a field trip?” a boy named Capone asked Ms. Englert. “Even better! I was thinking that we could enter the competition as a class!” Ms. Englert replied. Shai’s jaw dropped. Enter the competition as a class? Ms. Englert might as well have said, “Let’s enter the Olympics as a class!” or “Let’s fly to Jupiter as a class!” They were only third graders. Granted, Dancing With Kids was just for kids. But from the one time Shai had watched it, the competitors had seemed like the best dancers in the universe, practically. Also, the Robinson Arena was hunormous! Shai glanced out the window. There it was . . . stretching across Atlanta’s downtown skyline like a silver spaceship. Momma and Daddy had taken the family there for the women’s basketball championship, and there had been a billion zillion people in the audience. The dance studio filled with buzzy, excited whispers. Emmie raised one eyebrow at Shai. It was one of Emmie’s new skills, raising one eyebrow, and it made her look like a cool mad scientist. Shai tried to raise one eyebrow back, but her eyebrow wouldn’t cooperate, so she ended up squinting and squishing her cheeks instead. Emmie giggled. “What’s the grand prize? Is it lots and lots of money?” Gabby spoke up. Gabby was Shai’s frenemy, which was friend plus enemy. “I bet it’s like a hundred dollars. Or maybe even a thousand dollars,” Gabby murmured to a girl named Isabella. Gabby was kind of a know-it-all. Shai sipped at her water bottle. She had been in only one other dance competition before. Four years ago her class from the Twinkle Toes Dance Studio had participated in a local competition at the community center. They had performed a shuffly tap routine to the song “I Wish” from Happy Feet. It had been super-scary, especially when Shai forgot her Mumble solo steps and had to improvise new ones on the spot. But it had been super-fun, too, and their group had come in fifth place. They had received a plaque and gift certificates for ice-cream cones at the Scoop. But that wasn’t the same as competing in Dancing With Kids. And the community center wasn’t the same as the Robinson Arena. Were Shai and her classmates ready for the challenge? 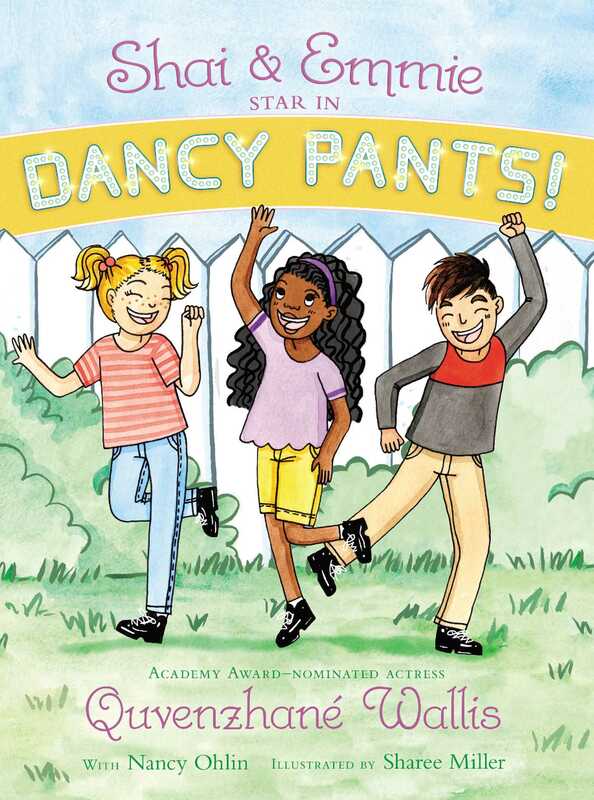 Book Cover Image (jpg): Shai & Emmie Star in Dancy Pants!